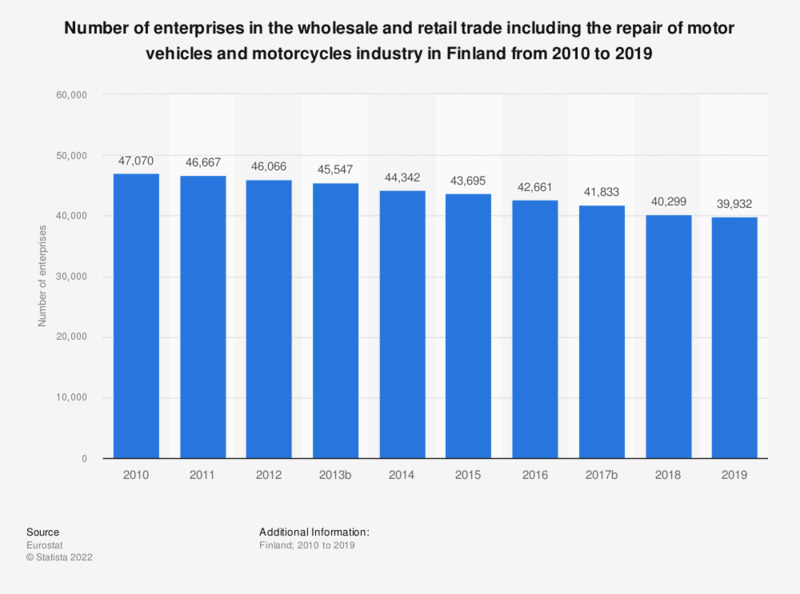 This statistic shows the number of enterprises in the wholesale and retail trade including the repair of motor vehicles industry in Finland from 2008 to 2015. In 2015, there were a total of 43,695 enterprises in the wholesale and retail trade industry. Data coverage is for the code G of the NACE_R2 of economic activities, which is wholesale and retail trade including the repair of motor vehicles and motorcycles.